Law No. 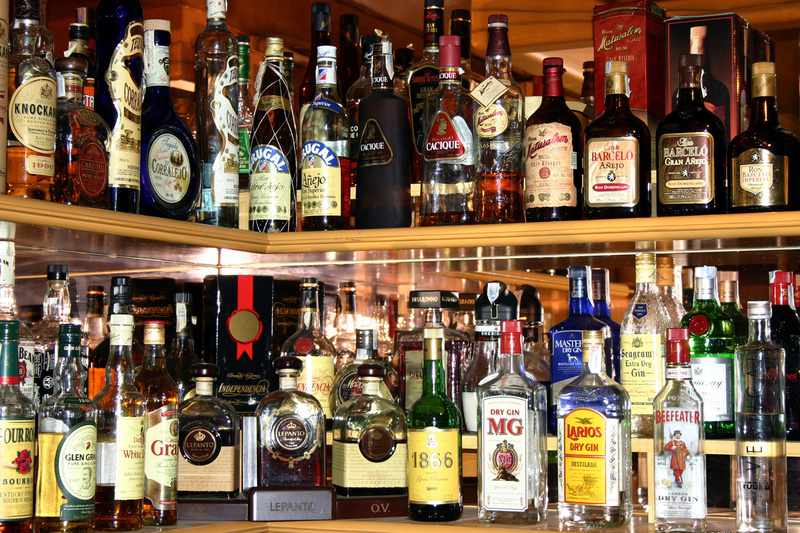 10, which regulated the sale of liquor for over 75 years, has now been replaced by a new law as of August 8, 2012. The Municipalities have three months to enforce it, so the changes should apply by early November, 2012. The new law, called “Ley para la Regulación y Comercialización de Bebidas con Contenido Alcohólico,” seeks to: eliminate speculation, create equilibrium between economic development and control of the activity of selling liquor, strengthen municipalities’ financial independence, and eliminate an existing black market for such licenses. The new law eliminates the possibility for holders of licenses granted prior to its enforcement to sell, rent, or transfer the licenses. This ends a very lucrative business limited to a few holders of these permits. Now, in order to get a permit to sell alcoholic beverages, the interested party has to solicit it at the local municipality, complying with certain requirements that respect the “Plan Regulador,” the specific “Uso de Suelo” for the place where the permit will be exploited, avoid social risk, and other requirements. Additionally, the distance between the business that sells liquor and such places as schools, universities, churches, hospitals, and clinics is now established at a minimum of 400 meters; locations within commercial centers being an exception. Permits will not be granted in neighborhoods clearly established as residential. Type B licenses that include bars, discotheques, clubs, and cabarets will be granted in districts at the highest density of one per every 300 citizens. The lowest cost for these concessions will be 180,000.00 colones per quarter (around USD$120 per month). Hacienda Pinilla Beach Resort and Residential Community is offering qualified investors and developers the unique opportunity to participate in an auction of the Hacienda Pinilla to accelerate the realization of the vision for the project. Net proceeds from the new investments will be used to fund the charitable works of Guanacaste Ventures U.S., Inc., and its Costa Rican counterpart, Funación Progreso Guanacaste, which focus on education, healthcare, and affordable housing in Guanacaste. With a newly renovated international airport only a 45-minute drive away, extensive in-place infrastructure, and all the amenities and convenience expected of a world-class resort community, including a Mike Young designed masterpiece golf course, beach club and spa, fine dining, equestrian facilities, gorgeous white sand beaches and more, Hacienda Pinilla is the premier established resort in the area. The auction will include approximately 4,450 acres of master-planned and permitted communities where investors and developers can invest in a one-of-a-kind project with exceptional infrastructure and “turnkey” operations. The property is being offered both in carefully articulated development parcels and in its entirety, including beach and ocean front, golf course and mountain hotel and residential tracts, equestrian “ranchette” communities, retail and mixed-use sites. Contact ABC Real Estate for more information on this exciting investment and development opportunity. Another nice comment from an independent source, posted by a visitor to Tamarindo on the International Living website – a well-established source to fing great please all over the world. I’m in Tamarindo, Costa Rica learning how to surf. I’ve hired a local, Ricardo, who we met on the beach a few days ago. Two hours on the water—just $20. It’s a great deal compared to the many surf schools in town. My 5-year-old son is on the water, too. And he’s already an expert, riding wave after wave all the way to the shore. I’m wiping out more than anything… but having a great time. The beach is the center of life in Tamarindo. And not just for surfing. While the waves are chest high near the river mouth on the north end of town, calmer waters can be found on the southern end of the beach. That’s where the kayakers and stand-up paddle boarders launch. And if you’re not into watersports, there are plenty of bars and restaurants where you can enjoy an ice cold Pilsen or Imperial beer and a bowl of ceviche for $5 with your toes in the sand, watching the waves. Peak time is sunset, when tourists taking snapshots mingle with locals and long-time expats meeting friends or walking their dogs. Nobody could say that Tamarindo is a sleepy, forgotten beach town. But it has many advantages for expats. No matter what you hear about its level of development, this is no Ft. Lauderdale. It’s is still a laid-back and unpretentious area. Thanks to a large expat population, you have amenities and services not available in more remote areas: veterinarians and “dog hotels”, grocery stores carrying American brands and gourmet items, medical and dental clinics, and a ton of great restaurants. Tamarindo is also within quick driving distance of some of the most beautiful beaches in the country, including unspoiled Playa Conchal and secluded Sugar Beach to the south. The heart of the Nicoya Peninsula, home to the bohemian beach towns of Samara, Nosara, and Montezuma, is just a couple of hours away. Liberia, the capital of the province of Guanacaste, is just an hour away on modern highway. Need to take care of immigration paperwork or fly back home? Liberia is full of government offices and a growing international airport. Plus it also has outposts of San Jose’s best private hospitals: Clinica Biblica and CIMA Hospital. Finally, thanks to the large number of expat families here, there are several private schools close by that follow American curriculum and are even accredited in the States. For a half to a third of the price of similar schools back home, we can send our 5-year-old to a highly-rated private school, something we’d never be able to afford in the States. Located north of playa langosta and south of playa real along Costa Rica’s northern pacific coast. 1. For those travellers looking to visit a popular beach town, tamarindo would be your best bet throughout the entire northern pacific region. This town is one of Costa Rica’s largest and most commercial beach areas, far more developed than its neighbouring beaches (real, conchal, and flamingo). Travellers who choose to stay at accommodations in town have access to a wide variety of dining and shopping options – the majority of which are within walking distance to the beach. 2. Travellers looking to participate in a number of tours/activities during their time at the beach will find nearly everything they are looking for in tamarindo. Most of the tour operators in this town also service nearby beaches, however transportation to/from these other beaches and tamarindo is not always included with the tour cost. For this reason, tamarindo is a good choice for those individuals who will not have a rented vehicle and would prefer to stay in a popular town where tour offices can be reached on foot. 3. Given that tamarindo is a highly developed area, this beach town offers countless accommodation options ranging from hostels and economy hotels to superior and resort-quality hotels. Accepting of a variety of vacation budgets, tamarindo is sure to have an accommodation option that it perfect for any traveller. 4. More than anything else, tamarindo is the ideal surf town. For anyone looking to surf, wanting to learn how to surf, needing to buy surf gear, and/or yearning to be a part of the surf culture that is Costa Rica, tamarindo is the correct place for you. 1. Given its popularity, tamarindo is more ‘the place to be’ than ‘the place to go to get away from it all’. The area draws a mixed crowd – a young, single’s population drawn to the area for its surf, together with family travellers impressed by the variety of tours and activities available (especially activities that children can participate in). For those travellers who would prefer a less populated town area and/or beach, unfortunately tamarindo does not support this type of setting. 1. If easy access to tour/activity options (especially surfing), dining options, and shopping options is what you are looking for, than tamarindo would be the prime northern pacific beach location for you. Otherwise, if developed areas, a popular beach, and tourism in general does not interest you, perhaps a less busy and more intimate beach area would be the smarter choice. 1. Visitors staying at the Tamarindo Diria Resort (and other popular hotel options in the area) have access to playa tamarindo. 2. Recommended day trips from playa tamarindo include visits to playa real, playa flamingo, and playa conchal. Investing in property overseas can be a great way to boost your investment portfolio, and one of the hottest places to invest in property right now is Costa Rica. A beautiful land with the Pacific on one side and the Caribbean on the other, Costa Rica is an amazingly peaceful country with everything an investor could dream of, including coastal and mountain based properties, forest areas, prosperous urban developments, and farms. However, there are several things you need to know before you begin the process of buying real estate there. One of the first items you should be aware of is the lack of finance opportunities available to foreign investors. Unlike in many other countries, Costa Rican banks only lend money to citizens. As a result, investors must look for other options. Perhaps the best, and most common, way for offshore investors to finance their purchase is through an owner-financing plan. While some banks are starting to allow other kinds of loans, interest rates are high (between 25 and 29 percent), and finding some other option is probably the best way to go. Another thing you need to be aware of before you invest in Costa Rican property is the legality of the situation. The Costa Rican constitution guarantees that overseas investors have a right to own real estate, and some title companies will back up your property with additional guarantees, but finding an attorney who works with overseas property investors is the best way to handle the legalities of property ownership, as in Costa Rica, an attorney must not only complete the transfer of the deed itself, he or she also has to handle the title search. In Costa Rica, most properties are listed in the “Folio Real,” a computer system at the National Registry. Before you even consider making a property purchase, complete a title search as you can to do it yourself through the National Registry’s system. Such a search can offer important information including the boundaries of the property and any current liens against it. If you are considering the purchase of land in Costa Rica, be sure to ask whether the ownership or occupation rights are for sale. Ownership rights are comparable to those in other countries, but occupation rights can get a bit tricky, and an attorney is essential to sort out the processes that go with them. One final step you should take before you invest in Costa Rican property is to enlist an agent while you are searching for the perfect property. There are several reasons you might want to use an agent. Agents can help to protect your interests and refer you to the right people, including lawyers. Moreover, they can help to get you the best deal and let you know what the regulations are regarding particular kinds of properties. Be sure to choose one who specializes in investors, and make sure you get an agent who is licensed, as licensing is not a requirement to be an agent in Costa Rica. Investing in Costa Rican property can truly be an important financial asset to your portfolio, but knowing your way around before you decide to make a purchase is essential.